A small woodworking shop does not need much work to be done. It can be built by a little planning and spending. It is essential; however, to be considerate about the equipment’s purchased which should be based on the finance available and also the space available. 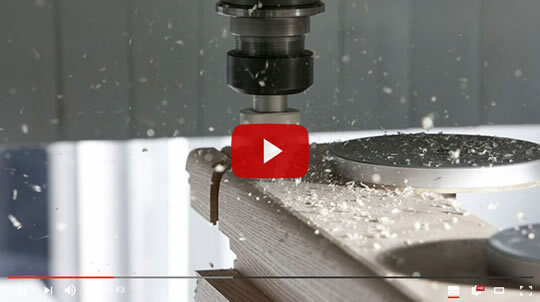 It does not require a lot of space too as it can be constructed by a few essential equipment’s like the table saw, miter saws, circular saws and the drill press. The raw materials required differ for each project and can be bought as and when required. Some of the other luxury items required can be vacuum cleaners, dust extractors and sawdust control. The Working Bench: Any woodworking shop requires a working bench in order to do basic cutting and sawing. This working bench is useful for all the basic operations required. Any small woodworking shop should have this type of work bench. Miter Saw: The miter saw is equipment used to make accurate crosscuts and miters in a work piece or a wooden slab. Miter saw is important equipment but if you have no space for this equipment then you can opt for cheaper and smaller equipment’s like a cross bar or so on. Table saw: A table saw is one of the most important equipment’s in a woodworking shop. Its size can depend on the space available and it can be mounted on the working space. The table saw helps in cutting the wood into the required sizes and also in straightening wooden pieces. Shelves and drawers: A practical workshop should have drawers and shelves to keep the small things like nails, hammers etc. well organized. These shelves should be wall mounted in order to reduce the space they occupy. They can also be mounted at a height which will help the lower areas to be free from clutter. 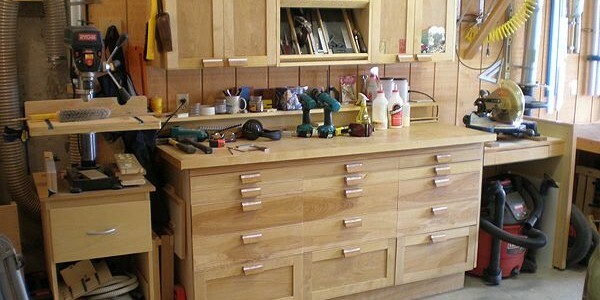 These basic requirements can work well for setting up a small woodworking shop. There are other sophisticated equipment’s which automate the cleaning and dust collecting but it is not essential to have all these right from the start. These are the most practical strategies which will help to establish the shop. Once the work starts coming in then one can increase the size of the shop and take other complicated equipment’s which can do complicated workmanship.